So what features are available to users of Adguard for Android. Adguard will block ads in all browsers and in most applications. Quality of blocking will be similar to that we have in Adguard for Windows. As it is the case in Windows-version, Adguard for Android will use our anti-phishing database to protect you from phishing and malicious websites. The problem with online threats to mobile devices and tablets is as urgent as to computers. The fact is that there is no common standard of traffic filtering for Android. Some devices allow filtering the one way, and some the other. 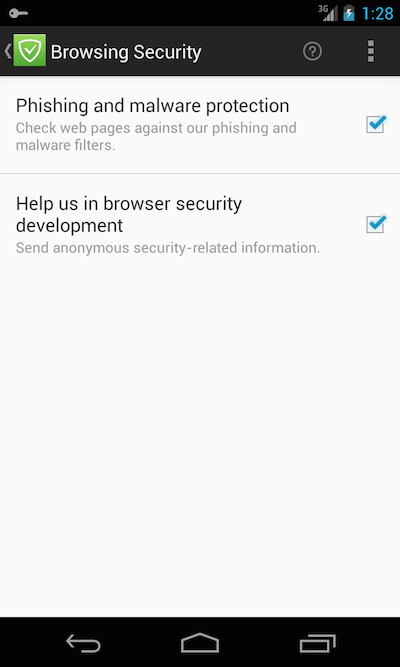 Adguard for Android will support several filtering options to cover the maximum number of devices. The default method of filtering is to use the local VPN-server. This technology gives us a lot of advantages: + No ROOT access is required for Adguard’s work. + Adguard will filter traffic of any browser. + Filtering speed will not depend on the work of VPN-server, since it is located right in your device. – Adguard will not work on small part of 4.0.x и 4.4.x devices due to errors in implementation of VPN to firmware of these devices. – Adguard will not work on some CyanogenMod and AOSP firmware due to the lack of VPN support. For devices where filtering with a local VPN is impossible, we have provided the opportunity to work in the HTTP proxy mode. It is an old and proven method that is well suited for rooted devices. If a device is rooted, then Adguard can immediately filter all the traffic. On the unrooted devices with Android 4.1.1 and preceding, Adguard can filter all WI-FI traffic. On the unrooted devices with Android 4.2.1 and later, Adguard can filter all WI-FI traffic, but only after a manual proxy configuration. 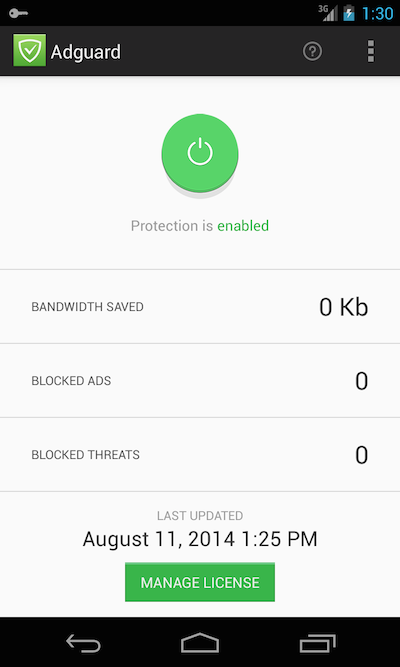 Adguard for Android can be used absolutely free. However, some functions will be available only after purchasing the Premium license. By default, Adguard will filter traffic only in your browsers. Filtering of applications will be available only to Premium users. This feature will also be available only to Premium users. We provide two options for activation. First, you can purchase a subscription via Google Play. This subscription will be available for all devices activated with your Google account. Second, you can use a regular Adguard license key for activation. There is only one limitation – the license type shall be “Premium”. When will Adguard for Android be available? Beta testing has just begun, and very much depends on its results. We hope that the beta test will be completed in September. After that, we will be able to finally release Adguard for Android.